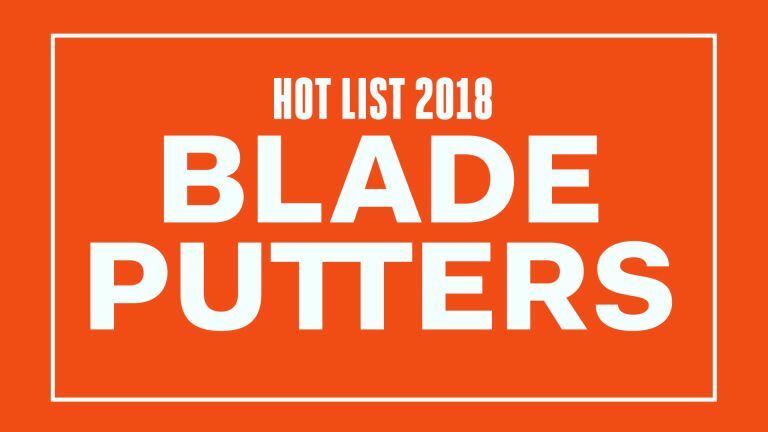 The Verdict: This year's line of five blades uses extensive milling and heel-toe weighting to achieve higher stability on off-center hits than most traditional blades. The putters—whose naming conventions derive from Arthurian legend—are milled from 304 German stainless steel for feel and performance and finished in a "chocolate ganache" PVD or aluminum oxide. I like the modern take on a Bulls Eye [Merlin model]. Simple to align, the weight feels right, and it looks regal. You don't have to hit it in the sweet spot to get a good roll. Accurate on the short putts. I love the elegant finish—like old-school door handles. Rolls true with good feedback on long putts.